Since I was a kid watching X-men to Justice League to Dragon Ball Z I’ve always aspired to be in physical good shape. I took taekwondo for 4 years as a kid with my dad but never entered any competitions. I sadly to say was one of those kids that got picked on in high school, but it wasn’t till then when I discovered my potential to lift more and run faster. When I was 18 I tried out for American Gladiator, then I realized at my size I might as well be trying out for water boy. I really started to train harder when I was 23 when I wanted to become an American ninja warrior and challenge myself in Spartan races. I was then what I thought in great shape running camelback in 20 mins. going to the park jumping around any obstacle I could find. Until one day at my job at Target a previous athlete that once was a part of Wildfire invited me to come to a class. It was then, sometime in October of 2012 that I discovered my real potential of becoming an athlete since then I’ve gotten faster taking second in a 5k race and more recently taking 2nd and 1st place in my latest competitions. Not only have I grown physically stronger but with my wonderful coaches Skip and Tiffany I have grown mentally stronger with their guidance to be a great coach as well a great friend. 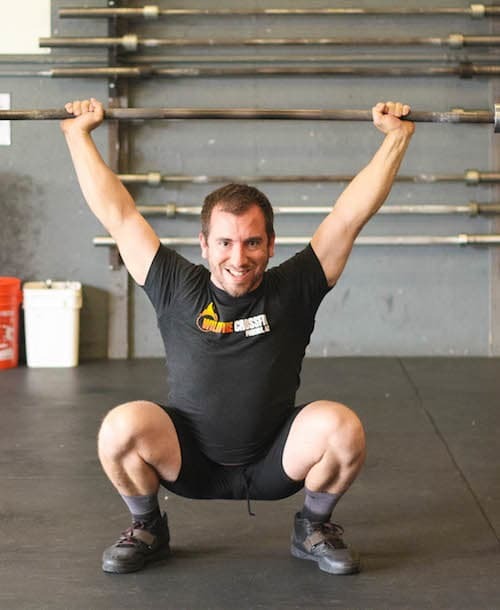 The Wildfire community is un-parallel to any other gym in comparison of compassion, friendliness, care and support to anyone who walks through those doors looking to become a greater person, mentally and physically. They’re there to support you 100% in any way they can, our community has such a diverse group of amazing people that will lend a hand in many different ventures of life. Going to this gym for over 2 ½ years, as my knowledge grows wider about physical and nutritional health so has the gym of giving every opportunity to learn so much. It is so fascinating to watch all the athletes I have seen and helped reach their goals and achieve things they’ve worked so hard to attain at Wildfire CrossFit.